Indianna Dreams: I'm back.......did you miss me? I'm back from my 3 month France Adventure - if you followed my LibertyBlueVan blog, then I hope you enjoyed the trip! I was lucky enough to find the above thread and fabric on a Brocante market in Sisteron. I think the yellow fabric is similar to some of the newer ones available today. I have been busy since my return and have already joined 2 swaps. 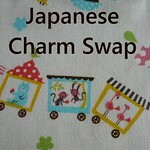 Firstly there is the Japenese Charm swap....I have bought my fabric...and a few others that were in the sale. 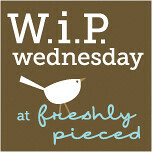 Now I have to pluck up courage to cut it into charm squares! ......... and a little bit scary is an embroidery swap as part of the Phat Quarter Flickr Group. 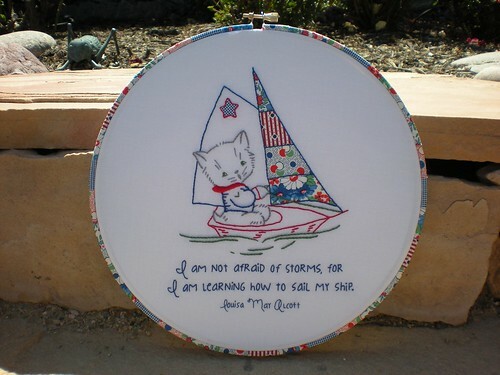 Hope I'm not too much out of my depth with the embroidery. 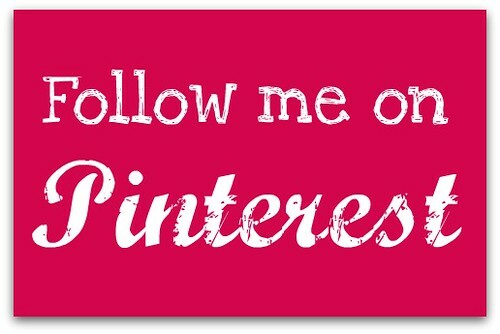 If you have not looked at the contents of this group it is worth a browse as there are some fantastic talented modern embroideries. 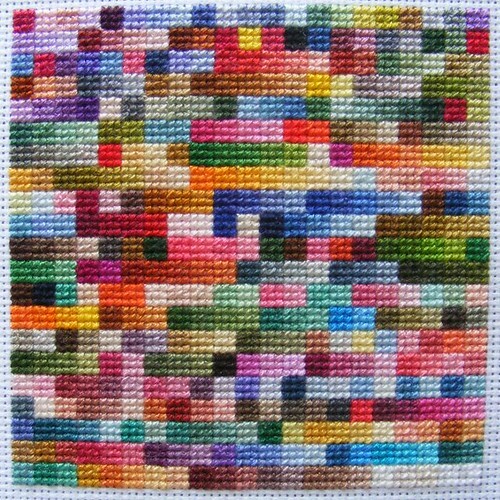 This one by Mabith could be a good layout plan for a quilt. 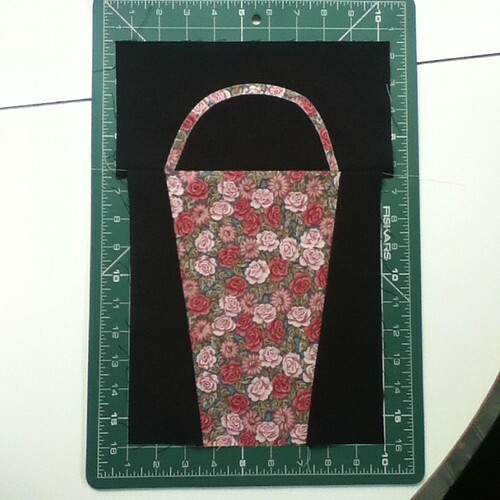 Today I completed this block for part of a charity quilt at my quilt club. Handbags and roses are not realy my thing, but it will go well with the rest of the quilt. 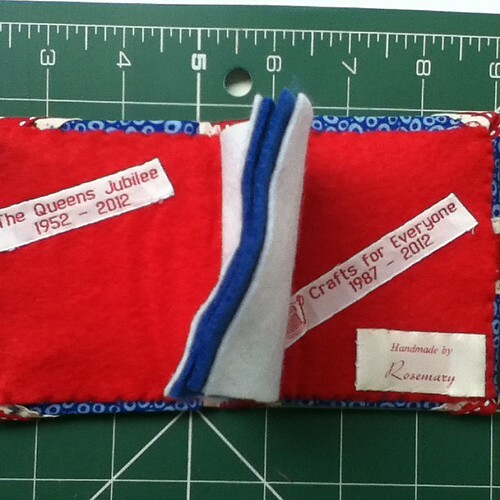 My mum also made me this little Union Jack needle case for the Jubilee. I've also joined in a blog hop with my Kitchen Aid Mixer I made earlier this year. Of course I missed you ;-) Though you werent totally gone! Cant wait to see the results of your new craftig adventures! 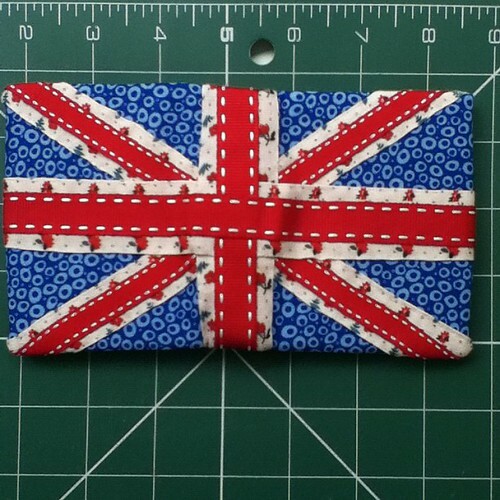 Yes welcome back to the sewing world!